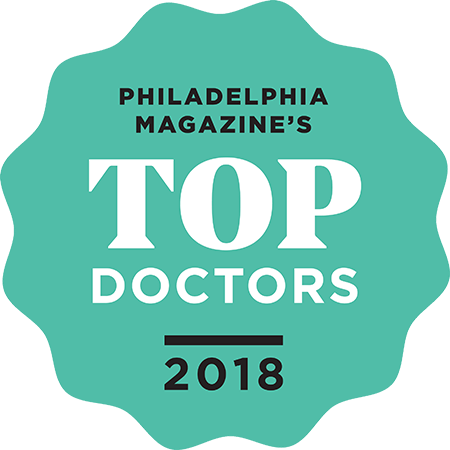 "When it became apparent that my medical condition could be a serious problem, Dr. Freedman immediately scheduled an appointment for me with a specialist. When further testing pointed to a very serious situation, she arranged for me to enter the hospital and consult with additional doctors/specialists, even though it was a holiday weekend. I will always be grateful to Dr. Freedman for her quick actions. Because of them I was able to connect with doctors and make the decisions which led to prompt surgery and treatment." "Dr. Freedman is very intelligent and quick to diagnose a problem. She is very professional and has a compassionate mannerism. I travel many miles just to have her as my physician. I have done this for many years. She has lowered my cholesterol levels by use of natural supplements vs. conventional prescription medications. In just six weeks my levels were lowered by 25 points." "Direct and to the point, answers questions no matter how many, and does not cut you off when you are speaking. In my case, her diagnosis and recommendations to try supplements and vitamins have all worked well. My health and energy have greatly improved, my cholesterol has dropped and I am able to work long hours in a difficult environment overseas. It took me a long time to find a physician that recommended alternate treatment before the use of pharmaceuticals.She was recommended by my chiropractor and I am a very satisfied client." "Dr. Freedman is a wonderful doctor. I found her for my daughter after traditional medicine could only prescribe meds that were masking symptoms and causing other problems, because they didn't have any more answers. I started to go home and shred them each time we left the doctors office. She is direct and will tell you what you need to know not necessarily what you want to hear (good or bad). She is honest and caring about her patients. We drive over an hour to see her and I have changed over to see her myself now. I will drive the hour for good care! She doesn't prescribe meds to mask symptoms or just get through another day she recommends supplements to heal your body. Healing takes time, your body didn't become ill overnight and it won't be healed overnight..If you would rather have a quick fix pill than she is not your doctor. If you want to be healthy from the inside out, than Dr. Lisa B Freedman is the doctor you should come see. I rate her an A for life. If you go to the Dr. and they prescribe an antibiotic or heart pill how is that different than recommending and herbal supplement except the cost and the long term effect on the body..oh that's right closed mindedness. As stated above if traditional meds are what you want and to mask your symptoms to just get by..than go elsewhere. Dr. Freedman wants to help you be your healthiest. That's it..no more no less..Hope this helps the new comers and maybe we'll cross path's in the waiting room someday. :0)"
"I have been seeing Dr. Freedman for almost two years. I see her once a month for a B-12 shot. I found Dr. Freedman through the free, local Yoga "magazine" as I was searching for a talented, highly qualified, doctor who integrates holistic approaches alongside mainstream medical treatments. As is mentioned in other reviews, Dr. Freedman is direct and thorough, she is patient with the chaos and mess of our insurance companies AND she remembers EVERYTHING. I see her at her Villanova office and appreciate the setting over the more institutional office park settings that are more familiar in our area." "I have been trying various doctors who tell me I have fibromyalgia for years. I have never believed that I had it and was referred to Dr. Freeman. She finally listened to me, has a holistic approach and in less than two months I am off the traditional medicine that I was on to a more natural remedy and I feel great." "I like this doctor. Is the office conventional Is it the usual kind of doctor visit NO. I was looking for something that was a mix of holistic and traditional. Dr. Lisa is that. I am able to make an appointment usually with a week`s notice and if when I did have to see her with more quickly, she accomodated me---even if she had to open earlier or stay a bit later. I could talk to her about my blood pressure, my thryroid and my inflammed tendon and get advice and medication in one visit! So, if you are looking for something different than waiting forever in the waiting room and having to book weeks in advance and being able to talk to a doctor like a friend, go here." "My entire family has been using Dr. Freedman for over 10 years. She thinks outside the box. Helped with my sleeping issues without pushing pills. I never wait more than 10 minutes to see her. Definitely someone you want in your corner!" "Dr. Freedman is smart, meticulous, a good communicator and honest. She views me as a partner in the maintenance of my own health, encourages me to read up on health issues and to ask questions. These she invariably and patiently answers (without condescending to me), because for her there is no such thing as a stupid question. Her approach is informed not only by impressive credentials and wide experience, but also by common sense. A big part of why I enjoy good health today has to do with the fact that she is my physician." "Dr. Freedman is very open to utilizing natural means to complement normal medical prescription medicines. She is knowledgeable in a variety of nutritional supplements and uses reputable sources. Dr. Freedman listens to your questions and answers them to the best of her knowledge. I appreciate the "holistic" attitude rather than just prescribing medication like a lot of other doctors do."